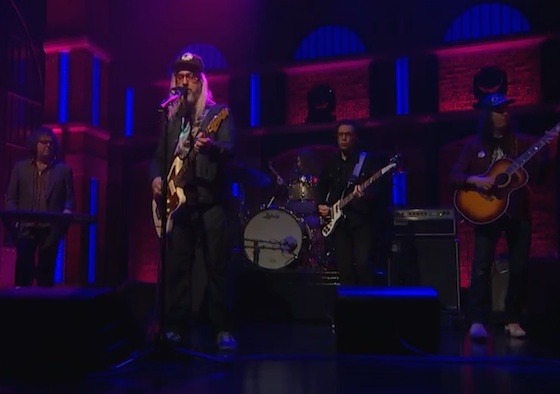 Last night (February 4), alt-rock icon and Dinosaur Jr. mastermind J Mascis stopped by Late Night with Seth Meyers, where he performed a pair of songs. Joined by the show's bandleader Fred Armisen on bass, Mascis powered through his "Every Morning" single, as well as his cover of Mazzy Star's "Fade into You." Watch J Mascis perform the songs below.